We intend to offer crêpes, the speciality from Brittany, in all its varieties in order to set a counterpoint to the flood of kebab and Asia street food on offer. In a vintage Citroen Tube truck. Authentic crêpes, or galettes bretonnes, as they’re also known, are made with buckwheat flour (glutenfree), which lends the dough its nice golden colour. As toppings we want to use regional, local products such as savoury cheese from the Zurcher Oberland, ham from the Zurcher Unterland or vegetables from our chosen regional farmer. For the sweet crêpe variety we are going to use homemade jam only. There are no creative limits to the composition of our crêpes – the only rule being that all our products must be organic, ideally from Demeter processes, and regionally sourced. Another goal of Krêp will be to offer a temporary work place for a few hours at a time to disenfranchised members of society. This can be arranged in collaboration with Zurich’s social welfare department if the institutions concerned show an interest in this. In order to meet our two goals we will need a suitable vehicle – and what could be more appropriate than offering this tasty speciality out of an original Citroën Type H Tube box wagon? We’ve already inspected a few potential candidates. 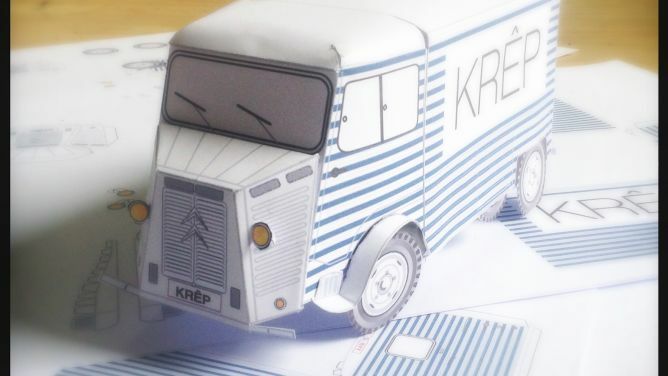 We are planning to Krêp–customise the vehicle from scratch. The necessary restoration steps, interior fittings, paint work and MOT preparations we want to carry out ourselves. A number of classic aficionados have already offered their expertise free of charge in supporting us in our endeavour. An initial stock of products, plates, napkins etc. No one walks away empty-handed, and as a thank you in return for your support you will receive the following perks. Should we exceed our funding goal, our next step will be to convert the vehicle from petrol to the more environmentally friendly LPG. Unfortunately, this project ended unsuccessfully on 30/11/2015 16:00. 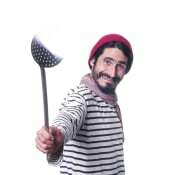 You receive a voucher for one Crêpe. You receive a voucher for one Crêpe and a cider. You receive a complete crêpes meal (savoury and sweet, cider) for 2. You receive a complete crêpes meal (savoury and sweet, cider) for 4. As patrons on nameplate immortalized on the vehicle. You receive a complete menu Crêpes (salty and sweet, cider) for you and 4 friends. You can with our help, create a crêpe and then name it and we include it in our assortment. As patrons on nameplate immortalized on the vehicle. We come to your place and treat 10 guests to a complete meal (salty and sweet, cider). As patrons on nameplate immortalized on the vehicle. We come to your place and treat 20 guests to a complete meal (salty and sweet, cider). As patrons on nameplate immortalized on the vehicle. We come to your place and treat 40 guests to a complete meal (salty and sweet, cider). As patrons on nameplate immortalized on the vehicle. As long the truck rolls you will receive free Crêpes. As patrons on nameplate immortalized on the vehicle. KRÊPMOBIL ist eine Initiative von Thierry Emanuel und Vasco D’Apuzzo. Beide schöpfen mehrjährige Erfahrungen aus dem Gastrobereich, Thierry am Herd als Koch (u.a. 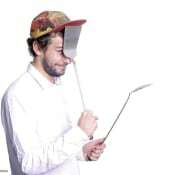 in Heimen für schwer erziehbare Jugendliche) und Vasco, der mit seinen Know-How und Tessiner Charme an der Front bei den Gästen punktet. Beide sind hochmotiviert sowie Feuer und Flamme für dieses Projekt in dem auch viel Herz drin ist.